Less Words Wednesday: Travelin’ Jack Brings News | Will My Dog Hate Me? I heard about some big news affecting pets in New Mexico, so today I’m turning my blog over to Travelin’ Jack, the state’s Dog Governor, New Mexico’s pre-eminent Pet Travel Guru, dog about town, and…well, I’ll let him tell you. Heeere’s Jack! As New Mexico’s roving bulldog reporter, I’m always sniffing out news in the pet world, and especially places that welcome me and my canine constituents. So I grabbed my groupies — pup-erazzi included — and off we went to check out the new Angel Fire Resort and Clubhouse. I was happy to find an open-air bar that was pup friendly, and climbed the high topper stool and ordered up a tall cold one. They fixed me my very own Canine Roy Rogers in a sipping bowl –- icy cool water, gently mixed with crushed flavored ice, a hint of grenadine topped by a cherry — YUM! Now you tell me…what thirsty pup wouldn’t like to wash down the dust in a fab setting like this? Jack says, "I always obey the rules. I'm a public servant." 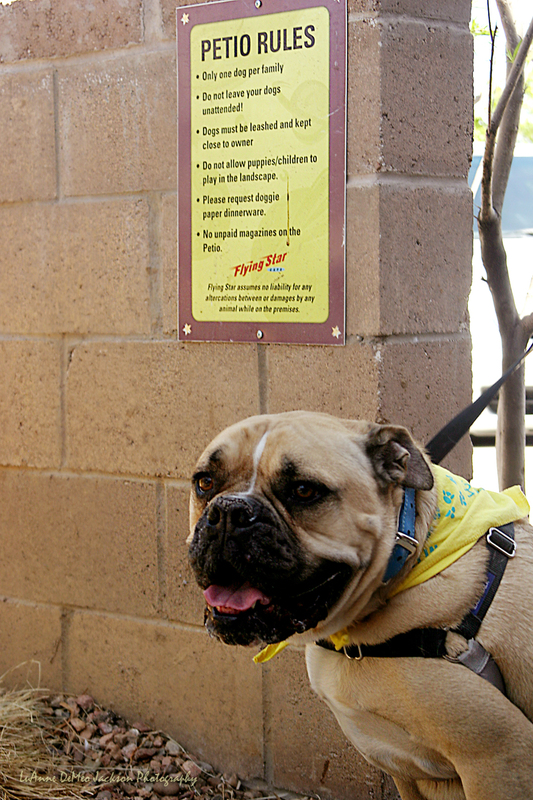 A place that’s been pet friendly for quite a while, Flying Star Cafe has nine locations in New Mexico (Albuquerque and Santa Fe). My personal backyard favorite is the one on Paseo del Norte and Wyoming in Albuquerque. In addition to offering a fab menu of fresh and tasty fare for the human foodies, they have long catered to four-footed guests in their nicely set up pet-io dining areas…some shady spots, some sunny spots, with lots of greenery tucked around…and doggie water bowls and snacks! It’s the canine’s — and human’s — spot to be and to be seen. But I’ve saved the BIG news for the end: Here’s the scoop…. (or is it the poop?) New Mexico legislators voted in a new pet-friendly bill that passed paws-down (‘er, let me correct that: In this case it was hands down as we don’t yet have a canine senator!). The bill states that restaurants all over the state now have the option to serve customers with a leashed dog at a restaurant patio. Governor Susana Martinez signed it into law in April, and it will take effect in July. This means we have dog rights to dine al fresco with our person/s…YEAH! So with this new law allowin’ us dogs to dine at eateries around the state, I’m taking the challenge! We’re hitting the road and checking out pet-friendly restaurants ALL around New Mexico! Check out Travelin’ Jack’s Dog Blog to see where we turn up next. Doggie Hugs and Slurpy Kisses! What a terrific piece of legislation! Yay for happy news! Since it’s always summer in New Mexico, I assume, this is something dog owners can take advantage of all year round. Wow! That’s pawmazing. Wish they’d pass something like that in Georgia. We often feel like we’re dining under the radar here. Never sure if it’s really allowed in most places though a few will welcome us onto their patios. Great place! Hi, Sam here from the blog hop. What exciting news! I sure hope some of the legislators up here in Canada see what New Mexico has done and follows suit! Great news! I love the idea of Pet-ios. 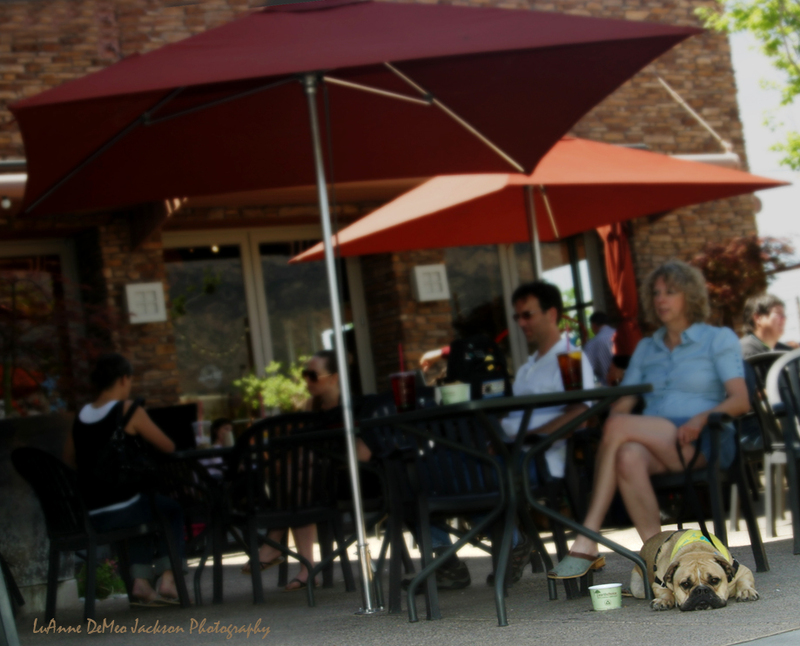 It makes SO much sense to me that it would be just FINE for pups to eat on outside patios with their people. As an Albuquerquean, I second all of Travelin’ Jack’s favs-!! great pix! (btw, we do actually have a cold season during winter months when our beloved Flying Star petios are quite empty late November to early March.) I suppose that begs for some questions about “petiquette” …how to train your dog to be a good restaurant visitor, including how to keep them from lifting a leg on your neighbor’s chair. Hey, Sugar! Golden woofs to you too. 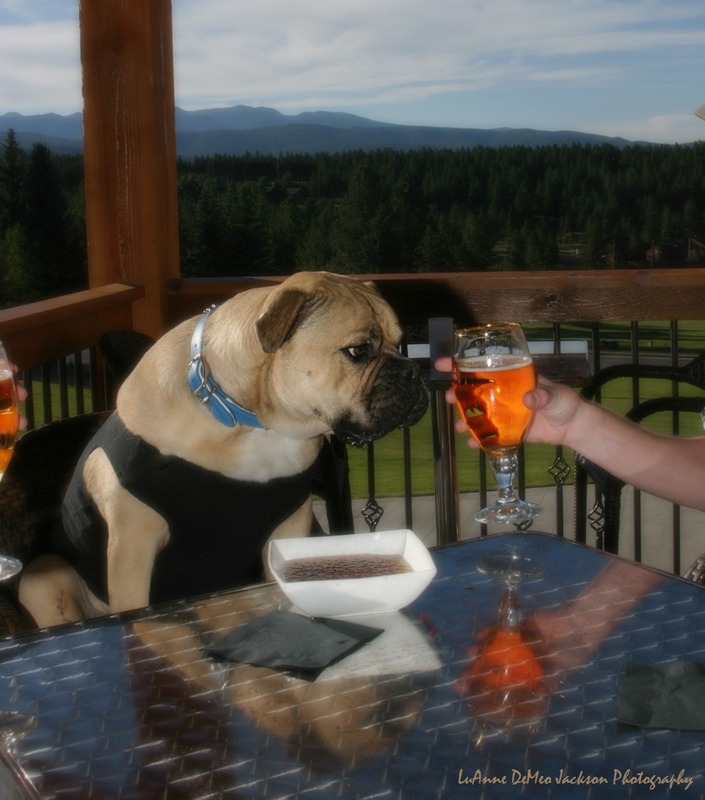 It’s not a question of compliance — restaurant owners are not required to allow pets on their patios — but one of choice. Now no one can say to a restaurant owner that they are not permitted to have a pet friendly policy and no patron can complain that it’s illegal. Thanks for bringing us the awesome news. We’re pretty pet friendly up here in Portland, but it could be better. Hopped on by for the Blog Hop, but we’ll be back. Hi Travelin’ Jack! This is great news – it will make New Mexico a more desirable location for pet travelers to visit. It can be a challenge to find eateries that welcome your pets when you vacation with your dog. How fun! Very cool policy. 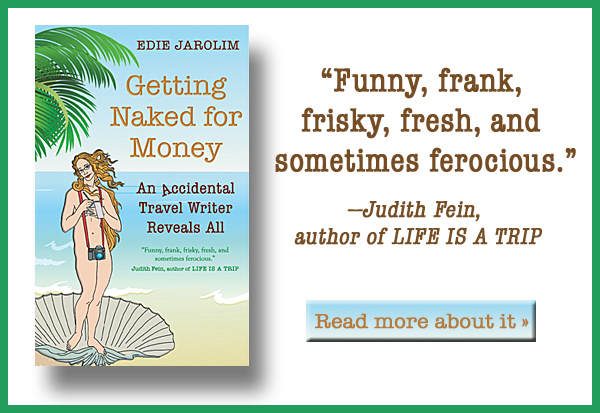 Pingback: Travelin’ Jack is Back — With Jill!